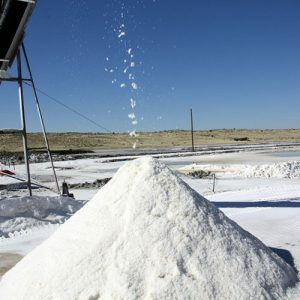 Industrial Salt is a white crystalline sodium chloride produced by the solar evaporation of brine. Intended for use in a wide variety of end use applications, including manufacturing detergents, textile dyeing and other chemical processes. We offer a wide range of salt products for industrial use. Our refined salt is available in different grain sizes, ranging from 0 – 0.2mm to extra coarse sea salt with a grain size from 5 to 8mm.